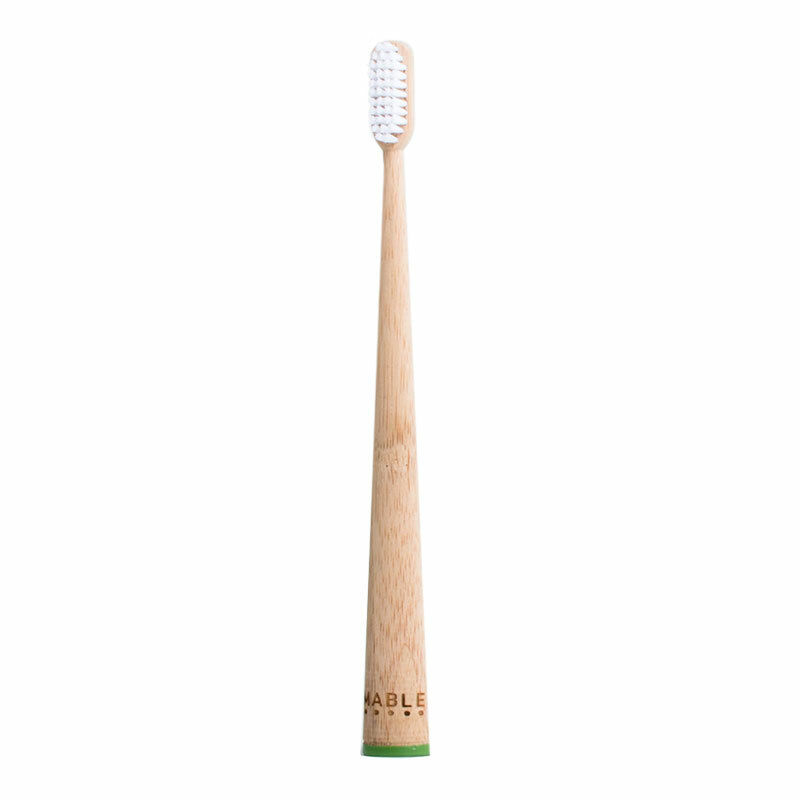 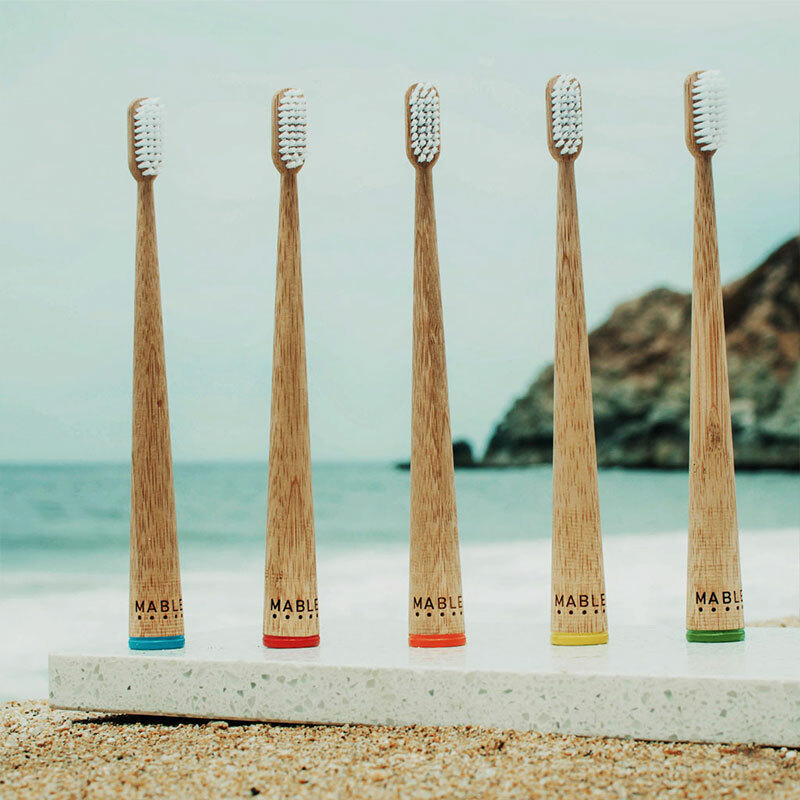 Cleanse teeth and feel good about it too with Mable Bamboo Toothbrush. 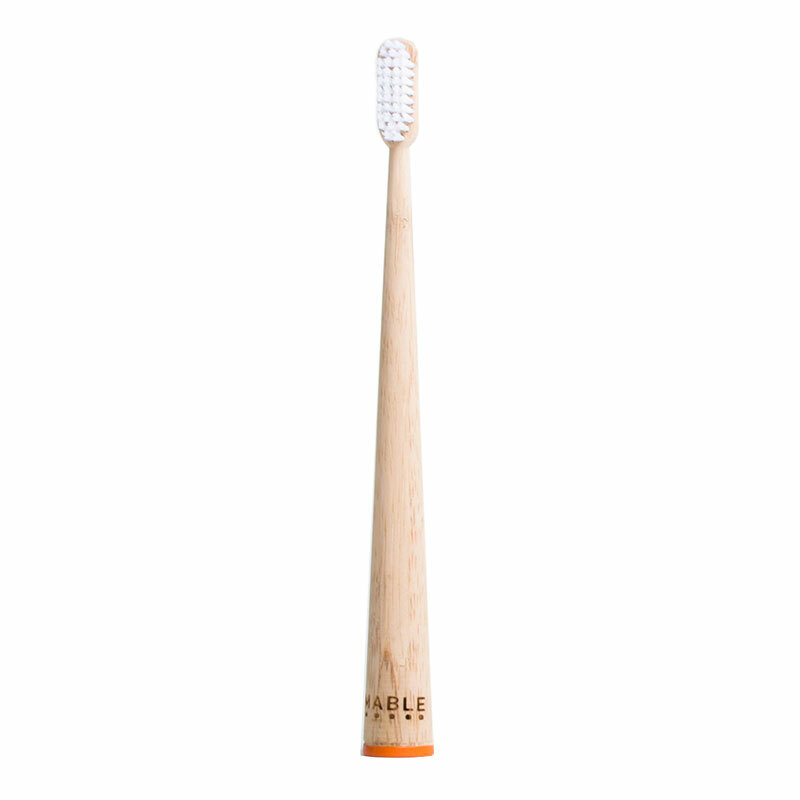 Made of a biodegradable, sustainably harvested bamboo handle and BPA-free nylon bristles, this brush is naturally antibacterial and water resistant. 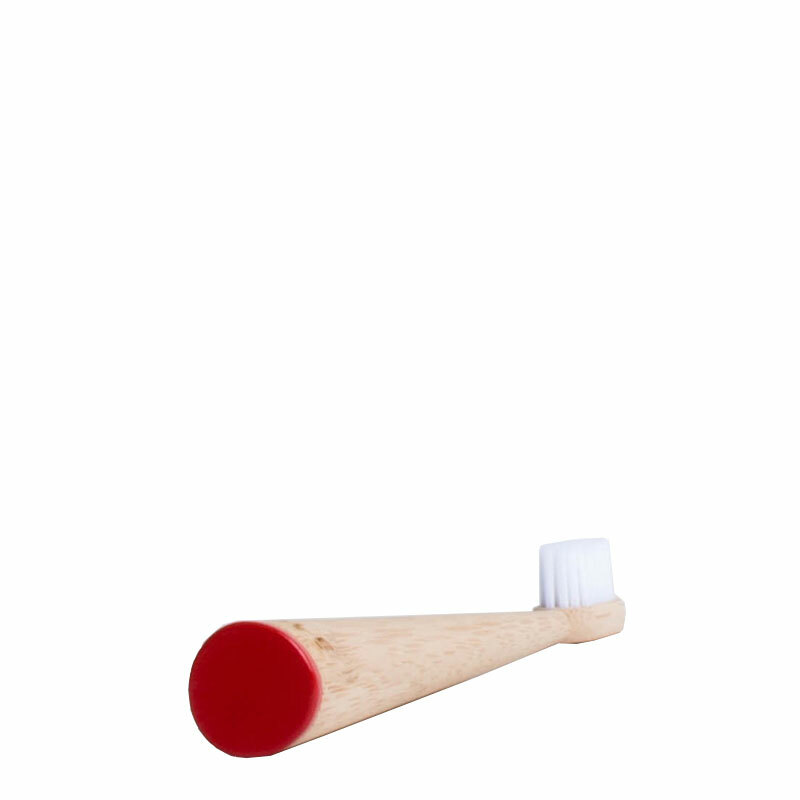 The soft brush effectively cleanses teeth without feeling overly abrasive and the small head is well suited to all. 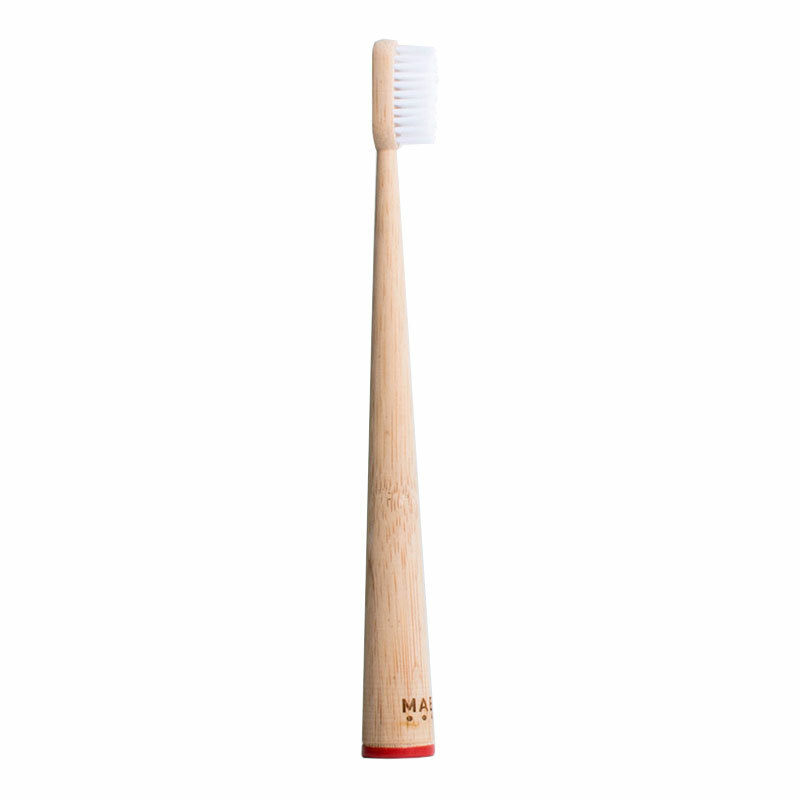 An ergonomic handle and self-standing design is both convenient to use and looks beautiful sitting sink-side. 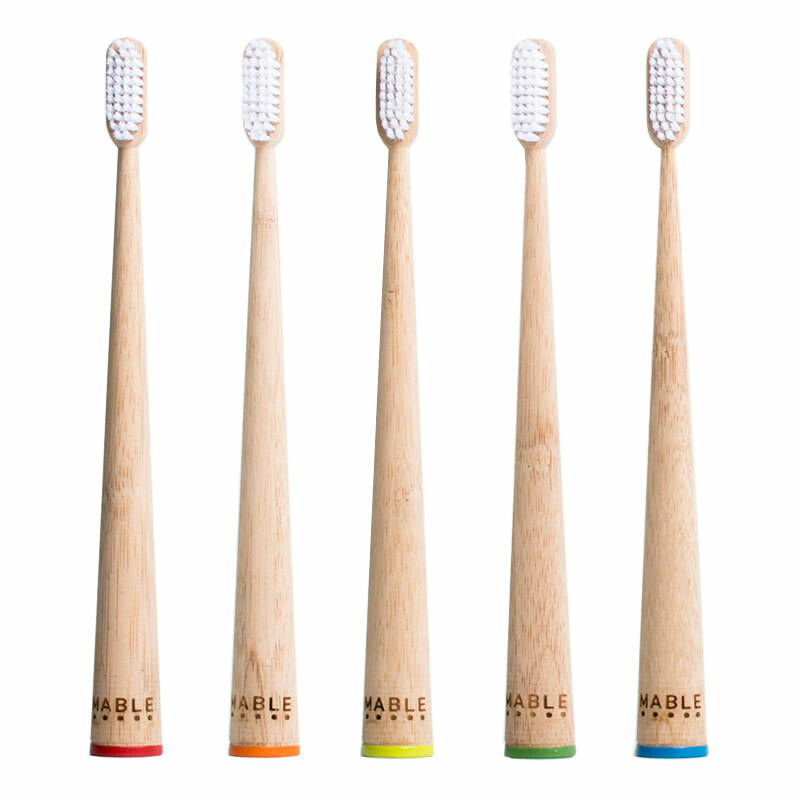 Vegetable-based paint makes them easily distinguishable, perfect for the whole family. 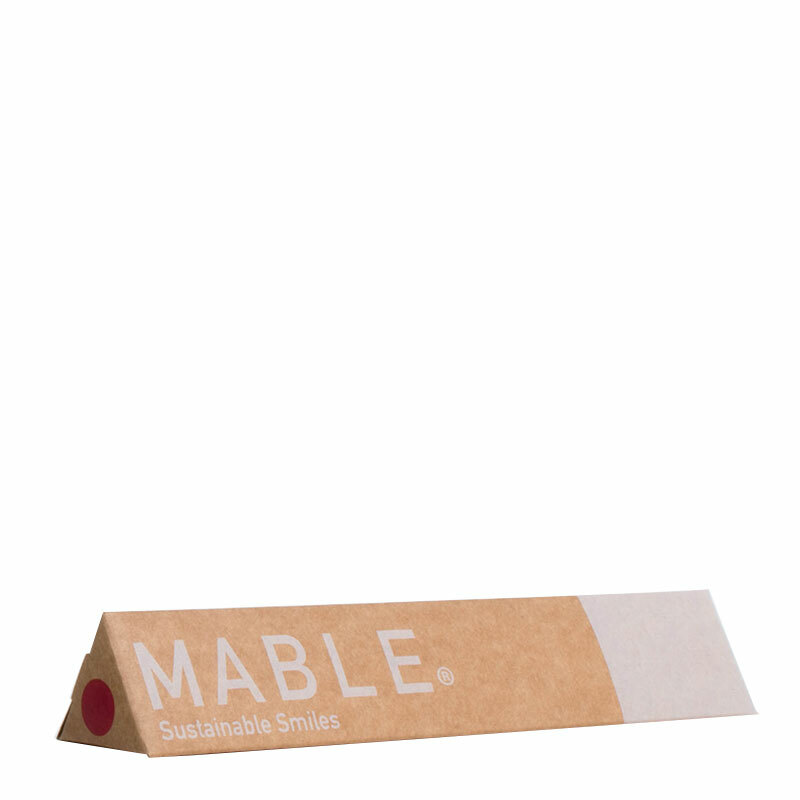 Comes in eco-friendly packaging and may be composted after use. Wet bristles, apply toothpaste, and gently brush teeth in small circular motions. 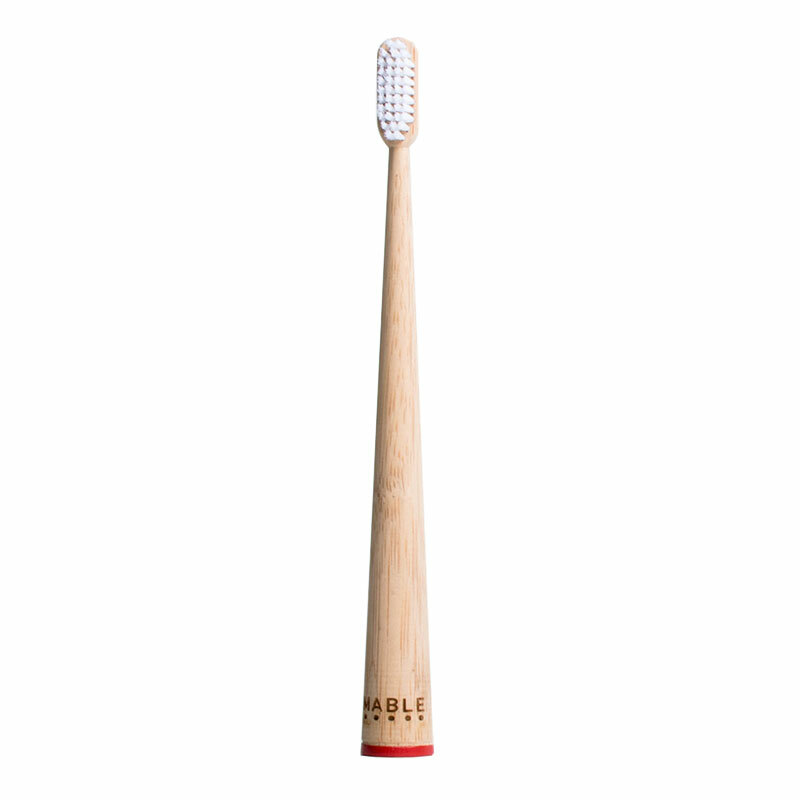 Rinse and stand up to air dry. 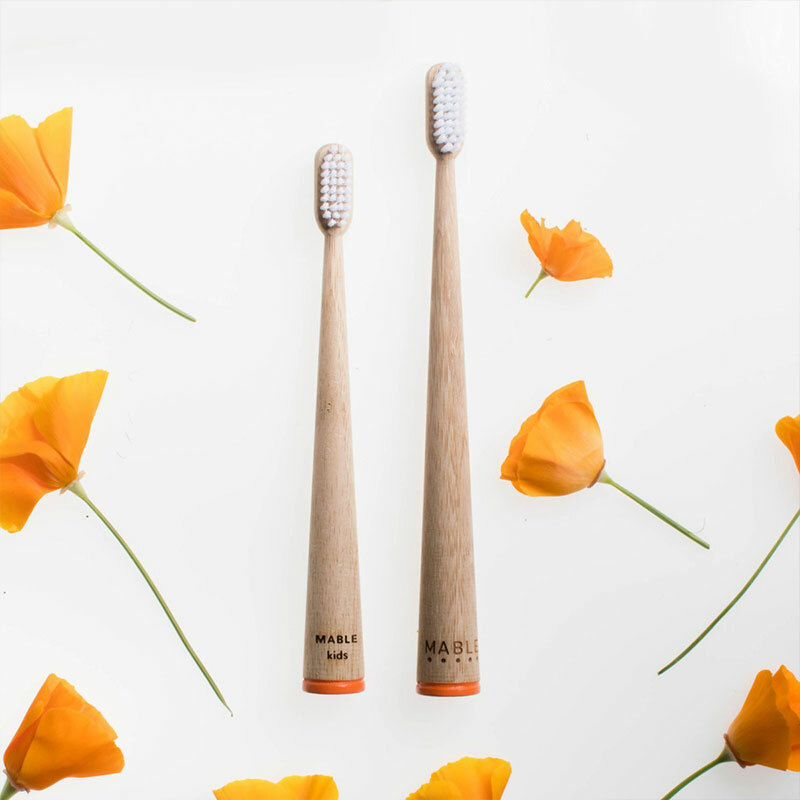 Switch out monthly and compost after use. 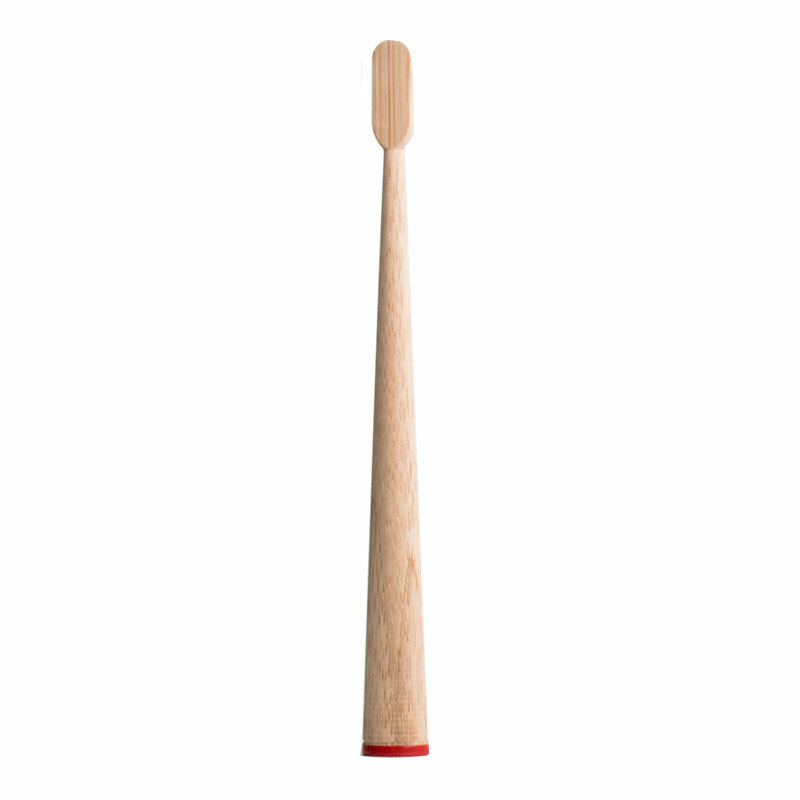 100% Biodegradable Bamboo Handle, Vegetable-Based Paint, Non-Toxic and BPA-Free Nylon® Bristles.